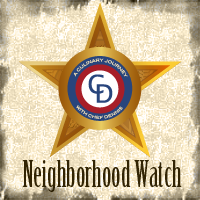 Today’s recipe is a nod to August: Osage County, this month’s Food ‘n Flix pick. In Food ‘n Flix, participants watch the selected movie (there’s still time to join in!) and make something delicious inspired by the film. This month’s movie is hosted by Debra at Eliot's Eats. As I was hunting down a copy of the movie, I happened to notice that it is actually a play. Which was available in digital format form my library while the DVD was checked out. So I read the play first. Yeah, not a fan. I don’t need to be reading about that kind of dysfunction for fun – the news is depressing enough. You can see my whole review on GoodReads. The movie was slightly better than the book, but only because I’ve never really enjoyed reading plays (I prefer to watch a play on stage or read a novel). It’s just as despicable as the text version, so at least I was prepared. The only saving grace is that there is plenty of food inspiration. The characters are frequently eating or drinking something. I very nearly went with a cocktail of some sort, but a cocktail seemed a bit classy for the Osage County crowd. So I trashed things up a bit with beer can chicken. 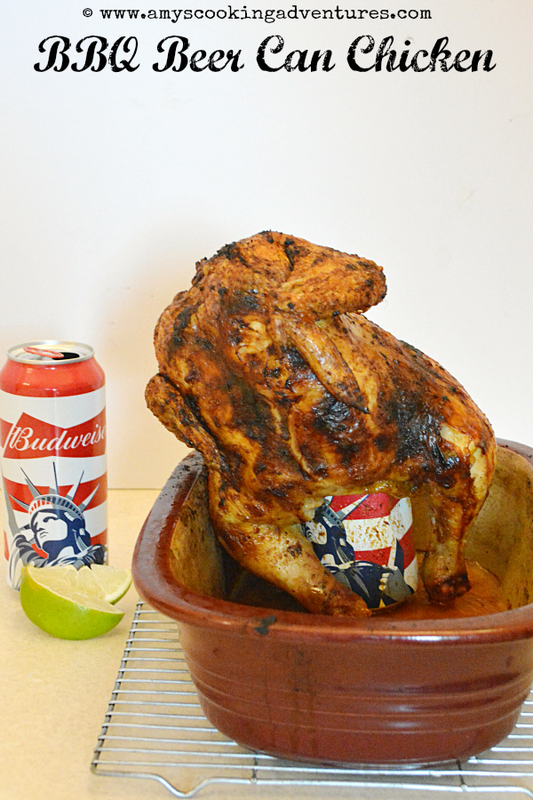 The good news here is that beer can chicken looks a bit trashy, but is actually quite delicious! It’s a completely different way to get some aromatics and flavors into a chicken, plus a sure-fire way to steer clear of nasty dried out chicken – the mostly full beer can up the chicken’s wah-zoo takes care of that! Now you can totally use one of those beer can chicken contraptions and make it on the grill, but a careful configuration of baking pans can do virtually the same thing – it’s really up to you! Preheat the oven to 400 degrees F. Place a baking dish on top of a baking sheet. Drink (or pour out) ¼ of the beer and place in the baking dish. Stir together the butter and 1 tablespoon of BBQ seasoning. Loosen the skin from the chicken and run the butter mixture all over under the skin of the chicken. Rub the remaining butter over the outside of the chicken and follow with the remaining BBQ seasoning. 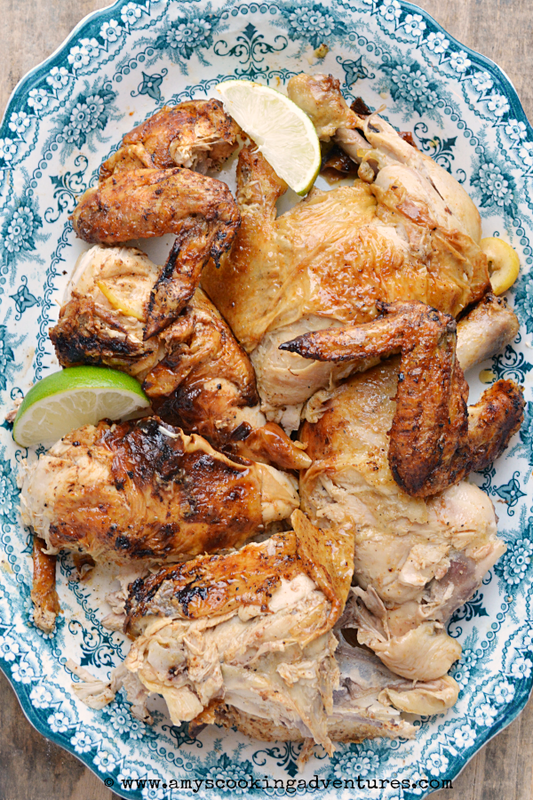 Place the lemon slices in a single layer under the skin of the chicken. Place a lime wedge near the top (in the neck hole). Carefully place the cavity of the chicken over the beer can, leaning the chicken slightly against the sides of the baking dish if necessary. Place the chicken (on the tray) into the preheated oven. Bake for 1 hour 15 minutes or until the chicken is fully cooked. Remove from the oven and rest for 20 minutes before carefully removing the beer can and cutting up the chicken. We love beer can chicken around here and the only good thing about that movie is that it made our family look wonderful LOL. I don't think I could bring myself to read the play. After watching it once I told myself once was enough...but I just watched it again with my foodie hat on. This chicken was a fun choice for this month! Plus, looks delicious. I really liked the movie, but I'm not sure I could bring myself to read the play. Your chicken looks delicious! I LOVE that first photo with the platter - gorgeous! Great pick for the movie! The play would be hard to take for sure. ;-) You got some truly gorgeous color on that chicken--it looks so moist and delicious.